Before Emily, Charlotte, and Anne Brontë adopted the pseudonyms of Ellis, Currer, and Acton Bell and published novels that changed the landscape of English literature, they were little girls who wrote juvenilia with their brother, Branwell, in a parsonage in Haworth, England. Celebrating creativity, imagination, and sibling bonds, Valente’s delightful novel The Glass Town Game pays homage to the early writings of the Brontës, imagining a world where Charlotte and Emily escape boarding school by venturing into a world they thought they’d only dreamed of. 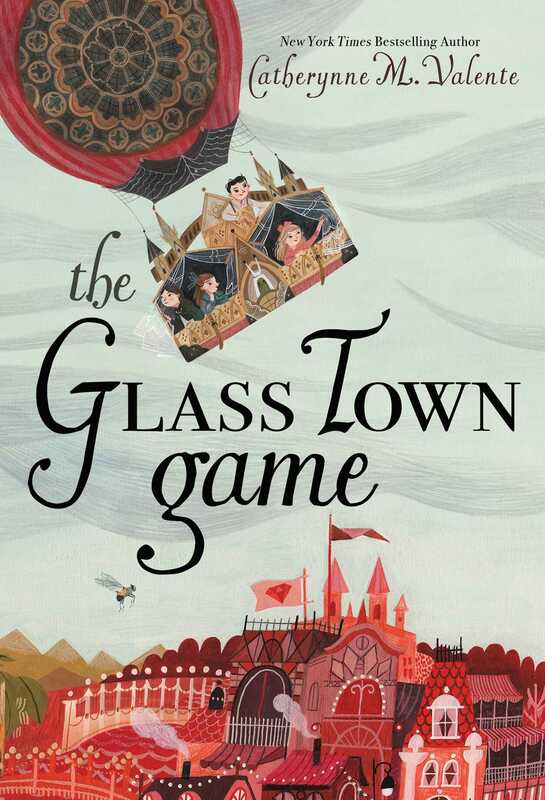 In Glass Town, the children meet the characters they dreamed into life, including an army of brave toy soldiers, Napoleon, Wellington, and a young Princess Victoria. Will they be able to solve the riddle of Glass Town and find their way back home, or will they be too late? 1. The first chapter of The Glass Town Game introduces the main characters Charlotte, Emily, Anne, and Branwell. What is your first impression of the siblings? What unique talent does each of the Brontë children possess? 2. What is supposed to happen on the Beastliest Day? Why do the children dread it? Why can’t Emily and Charlotte just stay at home with Anne and Branwell? Have you ever dreaded something you had to do? What helped you face it? 3. Describe the relationships between the Brontë siblings. Who is the oldest, and who is the youngest? Who seems to get in the most trouble? Who seems the most responsible? Do you have siblings? Are you the oldest, youngest, or in the middle? Are there any similarities between the way the Brontës relate to each other and the way you relate to your siblings? 4. The Brontë children enjoy playing the Game of And (a description of this game can be found in the text). With your classmates, play your own Game of And. How did this game help inspire your imagination? 5. Why do the children decide to take the Glass Town Express train? What would you have done if you had been asked to make the same choice? 6. Branwell calls Glass Town a “marvelously weird, really drawn-out joke” because many of the things in this world (like Old Boney, the Limeys, the Time Flies, and champagne flutes) are based on puns. Compile a list of these puns when you find them, and draw illustrations to go along with them. 7. Who are the leaders of Glass Town and Gondal? Why are the two countries at war? 8. What is Grog? Why do the children want to steal Grog? What do the Glass Towners claim as the source of Grog? What is the actual source of Grog? Who figures out where it really comes from? Do you think Wellington’s troops were right to take the ingredients for Grog from Gondal? 9. Who does Brunty believe created him? Why don’t the children want Mr. Bud and Mr. Tree to edit Brunty? One of the universal themes we find in literature is the question of fate versus free will. Do you agree with Mr. Bud and Mr. Tree that Brunty is fated to be a villain because he was written that way, or could he choose to be good? Do you think this is true for people—are people born good or born evil, or do they choose their own paths? 10. Emily explains that they created Verdopolis to be Glass Town’s greatest city, putting all the wonderful things they’d read about in it. If you were to imagine your own greatest city, what would you name it? What things would you include in your city? Just as Branwell drew maps of Glass Town and Gondal, create a map of your own imaginary city. 11. What pseudonyms do Charlotte and Emily adopt when they disguise themselves to attend Wildfell Ball? Why do they need to be disguised? What is special about the gowns that they wear to the ball? Consider Ginerva’s observation that “No lady could love a dress that did not speak to some secret desire she daren’t reveal any other way.” If you were to wear a dress or suit of clothes that was designed to reveal your secret desires or favorite things, what do you think it would look like? 12. What is empathy? Why do you think Branwell feels empathy for Brunty? Do you think Brunty deserves his empathy? 13. The Glass Town game is filled with magical settings and adventures. If you could enter the world of the story like the Brontë children, what scene would you chose to visit and experience? Why? 14. What is a bat-tree, and where did it come from? What does Brunty do with the bat-tree? How does this innovation change warfare in Glass Town and Gondal? 15. How do the Brontë children explain the fact that there are things in Glass Town and Gondal that they don’t remember creating? 16. Victoria is Anne Brontë’s special creation. Why did Anne create Victoria? If you were to create an imaginary friend for yourself, what would he or she look like? What characteristics would you give her or him? 17. Anne and Branwell are surprised to find out that Victoria believes she wrote England into existence in the same way that they wrote Gondal and Glass Town into existence. What does this suggest about reality? Consider the scientific debate in chapter 22. Do you think it’s possible that there are parallel or multiple realities? Explain your answer. 18. Before the final battle, Branwell makes a deal with Napoleon. Why does he betray the Duke of Wellington? What are the consequences of his actions? What would you have done in his situation? 19. Charlotte, Anne, and Emily are aware that there are different expectations and rules for them because they are girls. Toward the end of the book, Anne tells Napoleon, “I was born a girl in a world of Branwells, but I shall be more than I am meant.” What do you think this means? What obstacles do the sisters face because of their gender? How does each girl succeed in becoming more than she is meant? Do you think life was easier for Branwell because he was a boy or was it just as hard in different ways? 1. While many of the characters and settings in Glass Town are imaginary, others are based on historical figures. Research one of the following historical figures and compare the real-life figure to the fictional version that the Brontës created for their Glass Town game: Princess Victoria, Lord Byron, Josephine Bonaparte, Napoleon Bonaparte, the Duke of Wellington, Marie Antoinette, Jane Austen, Mary Wollstonecraft, Mary Wollstonecraft Shelley, Percy Shelley, Richard III, King George, the bluestockings, the Bastille. 2. The Glass Town Game is inspired by stories that the Brontë sisters and their brother, Branwell, wrote when they were children. (You can see one of these stories in Branwell Brontë’s handwriting at the British Library: https://tinyurl.com/lndsy45.) When they grew up, Charlotte, Emily, and Anne all published novels. Some of the characters and motifs in their adult novels are alluded to in The Glass Town Game; for example, the ghost Cathy, Agnes Gray, Thrushcross Grange, the Lintons, the Reed family, the quote “I am no bird,” and the pseudonyms of Currer, Ellis, and Acton Bell. Research the lives and novels of the adult Brontës. What connections can you discover between the Glass Town Game and the real Brontës? 3. Everything in Glass Town is constructed using other objects. For example, Bestminster Abbey is made of Charlotte and Emily’s luggage and its contents, the Limeys are made of actual limes, Josephine is made of roses, and Marie Antoinette is made of cake. Using Valente’s novel as inspiration, create your own character built out of found objects. Explain how the objects you use to create your character relate to the character’s personality or story. 4. Crashey’s vocabulary includes portmanteau words of his own creation, like munificabulous, countruralside, and theatrisculpturally. Make a dictionary of Crashey’s made-up words, illustrating the word and defining the root words that he used to create his new words. Try inventing your own Crashey-inspired word. 5. Brunty, the magazine man, has a body made of headlines and print. Throughout the novel, these headlines change to reflect what is happening around him or how he is feeling. Create a self-portrait using words and lines of articles from newspapers and magazines to create a collage that reflects who you are and how you feel. 6. 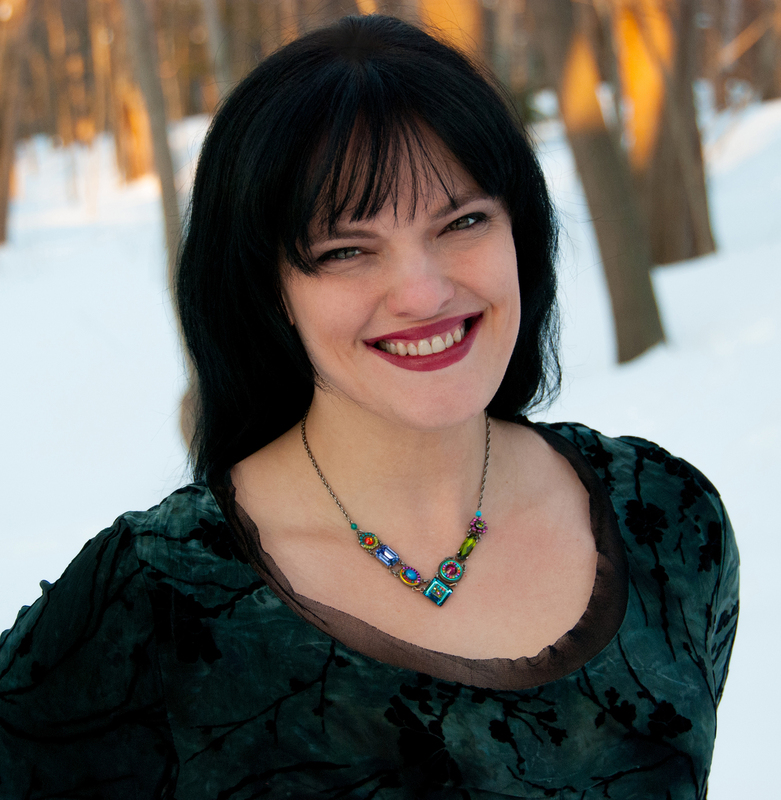 Throughout the novel, the author includes maxims: short truthful expressions of wisdom. Some examples are “remember your Bees” and “he who seeks to shirk the blame plainly doth his fault proclaim.” Make an illustrated booklet of maxims you find in the book along with others, including some you write yourself.